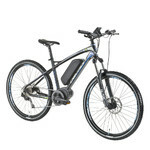 E-bike suitable for challenging terrain, BROSE centre drive, Schwalbe tires, hydraulic disc brakes. Mountain E-Bike 4EVER Ennyx 3 29” – 2018 is perfect for the fans of long trail rides, downhill rides and challenging uphill rides. This universal bike can be used all-year-round in any weather. The 250W high torque BROSE center drive can reach the top speed of 25 km/h. Built into the frame, the high-capacity battery allows for the distance range of 120km, thus taking you wherever you wish to go. The drive is activated when you start pedalling (there is a pedalling sensor). The smooth and quiet running is a must. The cycling computer displays all the important information, such as current/max/average speed and overall/daily distance. 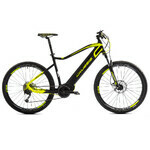 Mountain E-Bike 4EVER Ennyx 3 29” – 2018 also has a modern frame design, balanced centre of gravity and top components made by world’s most famous manufacturers, providing quality and durability. 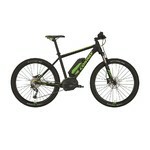 You may also appreciate the Suntour suspension fork and 9-speed Shimano gear shifter. The large 29” wheels with top-class Schwalbe tires ensure better stability, overcoming terrain and lower rolling resistance. 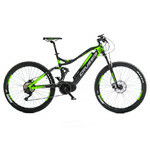 If you are a cycling freak, Mountain E-Bike 4EVER Ennyx 3 29” – 2018 is just for you. Note: Store the battery in a dark and dry place in temperatures from 10°C to 20°C. If you intend to store the product for a longer period of time, charge it to full capacity and then recharge it every six months. 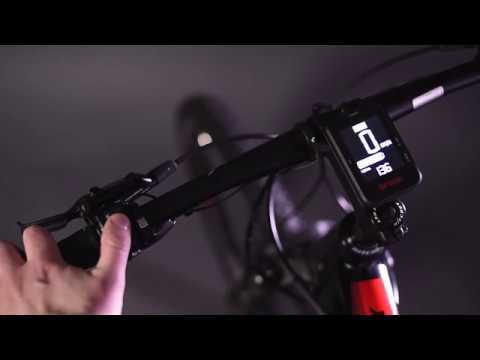 Having trouble selecting the right bike size and type? Learn more in our guide.